Just wanted to say up front I’m not a literary critic, a writer, an editor, or an English major. I’m just an average Jane who likes to read books before bed. They help me focus on something else, so my mind can relax, and I can sleep. 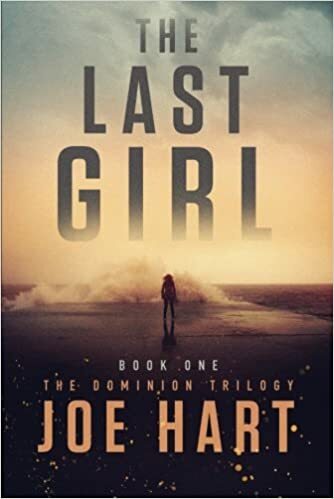 I recently chose Joe Hart’s ‘The Last Girl’ to read. The professional summarization sounded good even though I had never heard of this author. I usually like to stick with authors I’m familiar with. But then again, how do you get familiar with an author if you don’t read their books?! The Last Girl starts off you learning all about Zoey, her friends, where she lives, and why she thinks she’s there. As the book steadily progresses and things drastically change, you’re along for Zoey’s adventure. The author easily draws you into the lives & friendships of the characters. The book flows really well, yet it still seems like there are still so many unexpected surprises. You’re sucked in to the drama before you know it. Usually the main good guys in a novel are safe. You know in the back of your mind they’re safe. However, Joe Hart has no holds barred when it comes to his characters. You never know if the next main character is going to take a hit. It keeps your mind on its toes. 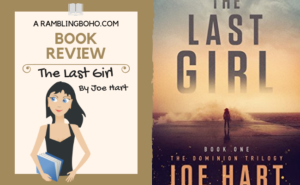 The Last Girl started as a calm story, and transformed into quite an engaging suspenseful book. Some things seemed to be skipped over to make it within the page/word count. It could have included so much more! As I described, I read at night. Only a couple chapters at that. I found myself thinking of the characters in the book during the day, & I couldn’t wait to get back to it that night. To me, that’s a sign of a good book. I didn’t want the book to end. I cannot wait to read the second installment. I hope the author keeps his pace and doesn’t jump the shark like so many series do. I’m curious as to what will happen to the new characters as well as the original ones. I will definitely put Joe Hart onto my list of authors to read! Read it for FREE right now with Amazon Unlimited!